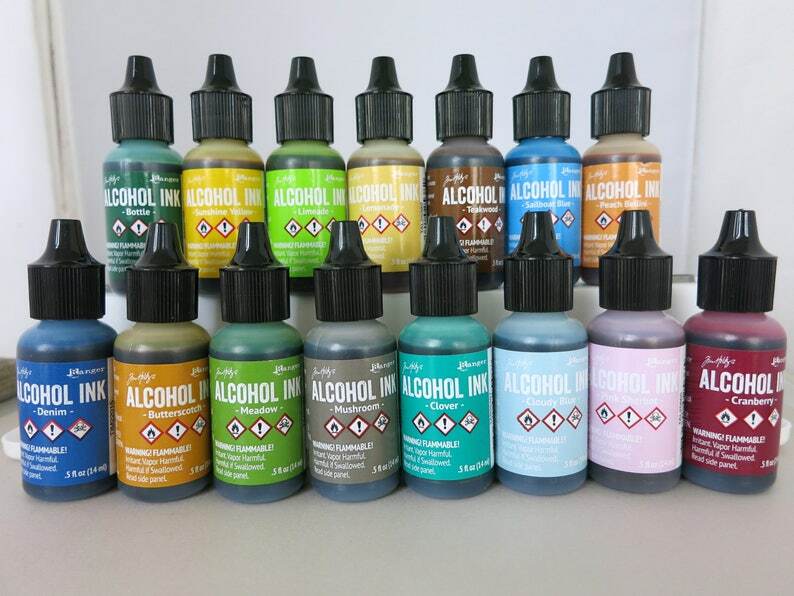 Adirondack Alcohol Ink, Choose Color, Tim Holtz Ink, Ranger Industries, 0.5 FL Oz Bottle - Many colors to choose from - see pictures. This listing is for ONE (1) Bottle of ink in color of your choice. These inks can be used on paper, metal, ceramic, glass, plastic, gourds and other surfaces. I like to seal them with spray acrylic. Shipping was super fast! I have already recommended your site to one of my facebook groups.